Cornerstone Counseling Ministry has launched its first DVD Curriculum! 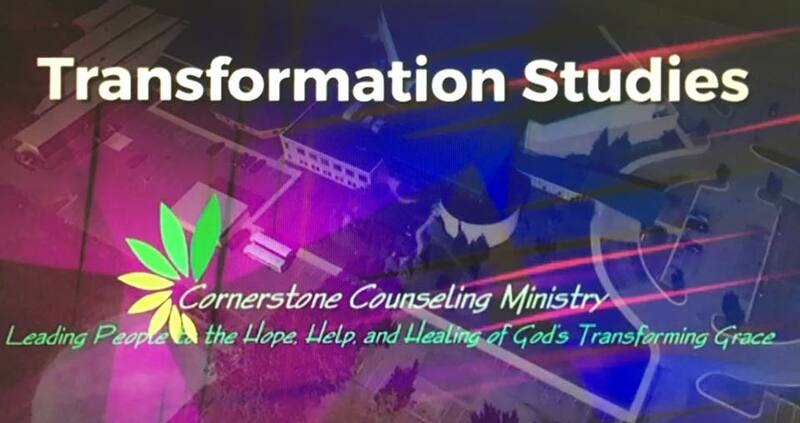 Our Transformation Studies series is curriculum that seeks to help individuals overcome a struggle through a combination of video teaching sessions and workbook exercises. The curriculum can be used by a counselor to help a counselee, by someone struggling who isn’t sure where to go or what to do, and by small groups as a means of healthy discussion. Our first curriculum focuses on anxiety. Out of all the issues we could have addressed in our first curriculum anxiety seemed like the most important to target. We chose to target anxiety because it is a dominant struggle for Americans. Ours has been called the “Age of Anxiety,” and the term represents the 40 million Americans who admit to struggling with “chronic worry.” And why shouldn’t people worry? After all, life is full of trouble. Even Jesus admits this fact (John 16:33). We have global crisis to concern ourselves with, terrorism, global economics, and fuel shortages. If you live in America you have major national concerns like racism, national debt, healthcare reform, and immigration reform (just to name a few national concerns). We have familial issues that concern us too: how should we educate our children? How do we handle discipline? How do resolve conflict with our spouses, balance our own budgets, meet our family’s needs? We have plenty of personal concerns too like health, finances, job security, mortgage payments, and personal spiritual growth. The list of threats is massive, the list of potential concerns overwhelming, and limits of our control astronomical. Life is full of things about which we can reasonably worry. That’s the thing about worry, it always feels justifiable. Which means, as we seek to address it we often struggle to know where to begin or how to handle it. If every concern feels valid, and worry feels like responsibility, then why is it wrong. We often have some sense that our anxiety is unhealthy and unhelpful but we don’t always know why and we definitely don’t know how to stop it. That’s what makes a study like this Transformation Study on Anxiety so beneficial to the church. It seeks to help viewers analyze their worries, understand them, and confront them with the truth of God’s Word. The fact that this curriculum is rooted in God’s Word is one of its key distinguishing features. One of the other major challenges we run into as we seek to confront our fears is that the world has a different strategy for fighting anxiety. It often reduces help to medicinal treatment. Instead of addressing the heart issues that may be tempting us with anxiety, and instead of building a solid foundation for confidence, it simply treats the emotions as bad and seeks to suppress them with medicine. There are some real and potential biological causes related to certain manifestations of anxiety, and it is important for everyone who seriously struggles to get a good physical examination. But we should never rule out the possibility of spiritual issues related to our worry. Seeking to address those may make the use of medicine unnecessary, and may help to bring about more thorough and complete transformation, which is ultimately what we all want. This curriculum seeks to help people navigate the sea of “treatments” from a Biblical perspective and find real hope and help in God’s Word. In an age of anxiety everyone is talking about the issue and so a curriculum like this is necessary to help Christians turn to the true source of help in God’s Holy Word. There are many subjects we could have addressed but this seemed to us the most pressing. As a ministry CCM sees more cases of anxiety than perhaps any other issue. Worry is ubiquitous. Worry is also powerful and can drive us to do many things, even tempting us to do sinful things. But God’s Word has hope and help for anxious souls. Check out the promo video and reserve your copy today! The DVD and workbook will be available for purchase in December, but if you reserve a copy (here) today you can guarantee to get one when they arrive. Transformation is possible. Transformation Studies can help!